All of our magnetic products are all bionorth / north pole / unipole (negative polarity towards body). We do not sell any bipolar magnets because they are inferior and dangerous to use. South pole (+) positive magnetic field energy is known to stimulate micro-organism growth, cancer, and disease within the human body. Bipolar magnets are a combination of (+) and (-) therefore they should not be used by persons with cancer or other illness. The following information is some excerpts from the book Alternative Medicine Definitive Guide Magnet Therapy by William H. Philpott, M.D.. I highly recommended that you purchase this book as it is full of information will help to better understand the Infinity Magnetic Products which are Negative Field Magnets. I bought mine from Amazon.com. We have provided this information to help you educate you in the different types of magnetics. At the end of this summary is more information that we hope you find helpful. We believe in educated buyers and sellers. When looking at Magnetic Therapy products in your local SuperStore, ask yourself two simple questions: 1. Are they Unipolar (negative magnetic field) magnets? 2. What is the gauss strength of the magnet? Electromagnetic energy is an essential part of the human body. It can help produce illness and help bring healing, depending on its type and strength. The world is surrounded by magnetic fields: some are generated by changes in the weather and solar storms. Magnetic fields are also created by everyday electrical devices: motors, televisions, office equipment, computers, electrically heated water beds, electric blankets, microwave ovens, the electrical wiring in homes, and the power lines that supply them. Scientists have recently discovered external magnetic fields can affect the body's functioning in both positive and negative ways. This observation has led to the development of magnetic field therapy. Almost anything can be magnetized - it is not just a property of iron and other metals. Magnetism happens on an atomic level, where tiny charged particles called electrons orbit around the atom like planets around the sun. These electrons also spin, like the earth on its axis, creating miniature magnetic fields with a north and a south pole. A static magnetic field is an energy field by virtue of the movement of the electrons in that field. Magnetic fields provide two types of energy response: the negative field spins electrons counterclockwise, while the positive field spins electrons clockwise. The spinning of electrons in negative and positive fields are opposite and the biological responses to these magnetic fields are also opposite. Humans need both internal and external sources of magnetic fields for survival. Internally, the human body makes mineral (magnetite) crystals that can be magnetized. These magnetized crystals, containing iron and manganese, are found in the pineal gland (located in the center of the brain), ethmoid magnetic organ (a bone forming the nasal cavity), and neurons. These organs and structures in the body are actually permanent static field magnets that generate magnetic fields. Individual cells have paramagnetic fields centered in the DNA, produced by the biochemical processing of nutritents, water, and oxygen. An external magnetic field can also magnetize the crystals produced in the body. Physiologists believe humans receive approximately 30% of their energy from external sources. The body also absorbs electromagnetic energy from the environment through oxygen and water, which are paramagnetic (capable of being magnetized). Also, blood flowing in the body is flowing through the Earth's magnetic field, which produces electromotive energy. All of these sources of magnetic fields can influence body function. A negative magnetic field can favorably effect cell function, pH level (acidity or alkalinity), hormone production, enzyme activity, energy production from ATP (which is found particularly in muscle and is responsible for energy), healing, and growth. Thus, negative magnetic fields can serve as systemic defenses against disease. After more than 20 years or research Dr. Kyoichi Nakagawa, MD has concluded a magnetic field deficiency syndrome exists as a result of this weakened magnetism. Some of the symptoms of this syndrome include: stiffness in the shoulders, back, and neck; chest pains; headache and heaviness of the head; dizziness; insomnia; habitual constipation; and general lassitude. The long-term biological consequences of magnetic deficiency include the following: the development of acute symptoms and chronic degenerative diseases; the loss of normal healing ability; and the unsuccessful defense against infectious microorganisms and environmental toxins. In particular, when the body's supply of magnetism is deficient, the oxidoreductase enzymes do not function properly. These enzymes are needed for the following: the reversal of free radicals (which are unstable, toxic molecule of oxygen with an unpaired electron that steals an electron from another molecule and produces harmful effects - their work is enhanced if there are not enough free-radical quenching nutrients such as Vitamins C & E in the cell), hydrogen peroxide, aldehydes, alcohols, and acids back to molecular oxygen; and the maintenance of the pH at a normal alkaline state. A negative magnetic field activates paramagnetic bicarbonates in the body and activates these enzymes. Electromagnetic energy and the human body have a valid and important interrelationship. Magnetic products are now being used to relieve symptoms and reverse degenerative diseases, ease pain, speed the healing of broken bones, and counter the effects of stress. In 1974, physicist Albert Roy Davis noted that positive and negative magnetic polarities have different effects upon biological systems. He found magnets could be used to kill cancer cells in animals, and could also be used in the treatment of arthritis, infertility, and chronic diseases related to aging. He concluded negative magnetic fields have a beneficial effect on living organisms, whereas positive magnetic fields are detrimental (stressful). His research has been confirmed by many other scientists and doctors. The negative pole calms neurons and encourages rest, relaxation, and sleep. When sufficiently high in gauss strength, it can even produce general anesthesia. And because it is neuron-calming, it has been successfully used in the control of neurosis, psychosis, seizures, addictive withdrawal, and movement disorders. A negative magnetic field consistently produces a predictable, long-term healing response, because only this field can ultimately relieve stress or injury. The body itself always responds with negative magnetic field energy to counter any stressor. The negative magnetic field counteracts stress by the following mechanisms: normalization of pH (acid-base balance), correction of cellular swelling or edema, and release of molecular oxygen. In contrast, the positive pole has a stressful effect on the body. With a prolonged exposure, it interferes with metabolic functioning, produces acidity, reduces cellular oxygen, and encourages the spread of latent microorganisms. As a neurologist, Dr. William Philpott has seen that a positive magnetic field excites or stimulates neurons. The higher the gauss strength of the positive pole, the higher the level of stimulation. In fact, a sufficiently high positive magnetic field can even provoke seizures and precipitate psychosis in those so predisposed. Because magnets do not introduce any foreign substance to the body, this makes them safer over the long-term than medications. As our understanding of magnetic energy improves, we will begin to see that the negative field produces the most effective relief of pain caused by infections, local edema, acidosis, and toxicity. Magnets will also prove central to the healing process, particularly with broken bones, bruises, burns, acute environment allergies, and chronic degenerative diseases. Negative magnetic field therapy will be a major tool in relieving arteriosclerosis (hardening of the arteries), Alzheimer's, high cholesterol, and high triglycerides, It will resolve problems related to calcium metabolism, including some types of kidney stones as well as insoluble calcium deposits around joints and in the brain. All types of cancer will prove reversible by continuous exposure to a negative magnetic field. Negative magnetic field therapy will prove effective in reverting scar tissue to normal tissue. Negative magnetic field therapy will be the most effectual antibiotic treatment for infections (bacteria, viruses, fungi, and parasites). Indeed, a negative magnetic field will become the antibiotic of tomorrow, because none of these organisms can tolerate a negative magnetic field. This antibiotic effect will be of tremendous value because conventional medicine is currently having difficulties making new antibiotics fast enough to counter microorganism mutations, which render antibiotics ineffective. Negative magnetic field therapy will offer the greatest control over abnormal electromagnetic activity in the central nervous system. Negative magnetic exposure will be used to control major mental disorders as well as minor emotional disorders and learning and behavioral disorders. Negative magnetic field therapy will be shown to be an effective stimulator of the health-enhancing hormones melatonin and human growth hormone when used at night. This application of magnets can substantially replace tranquilizers, antidepressants, and anti-seizure medications in the treatment of mental illness. In addition, it will help correct sleep disorders. A Negative Magnetic Field produces a number of healthful reactions in the body that can help eliminate the symptoms and causes of chronic illnesses. The body itself produces a negative magnetic field to speed healing, but if your system is compromised by poor nutrition or lifestyle choices, your body may not be able to heal itself. Applying an external source of magnetic energy can boost your recuperative powers. When used properly, magnetic field therapy has no known harmful side effects. The negative magnetic field heals by alleviating these common disease factors. It alkalinizes tissues and releases oxygen from its bound state back to its molecular state. By returning tissues to a normal healthy state, a negative magnetic field governs energy recovery, relieves inflammation, swelling, and other symptoms, and accelerates healing. Dr. Robert O. Becker, MD., demonstrated the body concentrates a negative electromagnetic energy at the site of an injury for healing. Dr. Becker detected positive electromagnetic energy initially exists at the site of injury, followed by this negative electromagnetic signal for healing. If the body succeeds in sending enough negative magnetic energy to the site of an injury, such as a cancerous growth, then it will heal this lesion. However, in many cases, the body simply does not supply and maintain enough negative energy at the injury to facilitate healing. This is because the human body has some limitations - based on its own energy capacity - on how much negative magnetic energy it can generate. Adding a negative magnetic field from an outside source the body can provide anti-stressful energy of sufficient strength for healing to occur, supplementing the body's effort to heal. The body is then not required to be the sole provider of negative magnetic energy to its injured area. A negative magnetic field is required for healing in general, including cuts, bruises, broken bones, allergic reactions, infections, and inflammation. A negative magnetic filed normalizes pH, which prevents or relieves the symptoms of immunologic and non-immunologic sensitivities and addictive withdrawal symptoms. The oxygenation of cells and tissues occurs in the presence of a negative magnetic field. A positive magnetic field produces acidity, which causes an oxygen deficit. Under these conditions of acid-hypoxia, infectious and degenerative diseases of all kinds flourish, the body becomes sick and develops many different symptoms. Also as the acidity of the body rises, it becomes more difficult for cells to use oxygen normally. On the other hand, negative magnetic field supplies the necessary alkalinity, which supports the presence of molecular oxygen. A negative magnetic field also has a direct effect on the vascular system of the body, allowing more oxygen to be delivered to the tissues. Accordingly, acid-hypoxia (high acidity and low oxygen) is a central condition in both degenerative diseases and acute symptoms from maladaptive reactions. In contrast, alkaline-hyperoxia (low acidity and high oxygen) is the biologically normal state needed for energy production, oxidoreductase enzyme function, defense against infection, detoxification, and overall healing. Exposing the body to a negative magnetic field produces a biological response of alkaline-hyperoxia, helping to reverse undesirable symptoms and degenerates diseases. The negative magnetic field begins the healing process by changing the conditions of acid-hypoxia to alkaline-hyperoxia. As such, it alkalinizes tissues and releases oxygen from its bound state back to its molecular state. And by returning tissues to an oxygen-rich and health-promoting alkaline state, a negative magnetic field inhibits infectious microorganisms, detoxifies free radicals, facilitates cellular and DNA repair, relieves inflammation, swelling, and other symptoms, governs energy recovery, and thus accelerates healing in general. Acid-hypoxia (high acidity and low oxygen) is central condition in both degenerative diseases and acute symptoms from maladaptive reactions. In contrast, alkaline- hyperoxia (low acidity and high oxygen) is the biologically normal state needed for energy production, oxidoreductase enzyme function, defense against infection, detoxification, and overall healing. Exposing the body to a negative magnetic field produces a biological response of alkaline-hyperoxia, helping to reverse symptoms of degenerative diseases. Normalizing the pH with bicarbonates such as sodium and potassium. Breathing oxygen sometimes adds another relieving agent, since oxygen becomes deficient in the acid state. Taking antioxidants such as vitamins A, C,& E, and beta carotene. When taken beyond their specific nutritional needs, these antioxidants serve as absorbents for free radicals, nullifying the inflammatory response. Exposing the symptom area to a negative magnetic field. A negative magnetic field facilitates the normal cellular production of ATP. It is imperative to maintain an adequate negative static magnetic field, a normal alkaline body pH, and high levels of oxygen for maintaining health. Normal enzyme function is also dependent on the presence of certain nutrients in the body. A negative magnetic field supports the body's oxygenation in several ways. This is important because oxygen is necessary for ATP energy and oxidative remanent magnetism. Oxygen is also one of the body's defenses against disease, particularly against the development of local and systemic acidity. Oxygenation neutralizes acids that produce oxygen deficits, which predispose the body to the development of degenerative disease. In contrast, detoxification cannot take place in an acid medium with insufficient oxygen. A positive magnetic field produces acidity, which causes an oxygen deficit. Under these conditions of acid-hypoxia, the body becomes sick and develops many symptoms. Also, as the acidity of the body rises, it becomes even more difficult for cells to use oxygen normally. Rather, molecular oxygen gets reduced in to a bound state, and the oxidation process diminishes. A negative magnetic field activates the oxidoreductase enzymes that reverse acids, hydrogen peroxide, and oxygen free radicals. This releases molecular oxygen, which is needed for oxidation. A positive magnetic field blocks the function of these enzymes. Without sufficient negative magnetic energy, these enzymes do not work to reverse the conditions which cause disease. Negative magnetic field exposure also reverses or prevents cellular edema. Under these edma-free conditions, the transport functions of the cell membrane are physiologically normal. Local edema can be resolved quickly by placing the affected area in a negative magnetic field. The most common types of magnets used in magnetic therapy are ceramic and neodymium (a rare earth chemical). Therapeutic magnets uses from 200 gauss to 1,500 gauss (only a fraction of what an MRI machine emits), while a common refrigerator magnet emits 10 gauss. The positive pole is acidifying and produces an inflammatory reaction. The positive magnetic field excites microorganism replication and cancer cell growth; can cause seizures in a seizure-prone person if placed on the head; and can cause an irregular heartbeat in a person predisposed to such a condition if placed over the heart. A positive magnetic field causes stress, which raises the level of endorphins, the body's own painkillers, and relieves pain. A negative magnetic field is anti-stressful, replacing acid-hypoxia which causes pain, with alkaline-hyperoxia, which relieves pain. However, the only way to treat disease is to relieve acid-hypoxia by alkalinizing and oxygenating the tissue which is done with through Negative Magnetic Field. Additional Helpful Magnet Information that I have gotten from several different places: Our bodies are not designed to live in concrete boxes, wear clothes or to live near electrically powered objects. All of this helps alter the magnetic field naturally generated by ourselves and each other. The natural state on the surface of the Earth is a negatively charged environment. Magnotherapy enhances the body's own ability to improve its circulation. Exposure to a negative magnetic field will help the body naturally to decrease the level of toxins in the blood and increase oxygen levels, thus reinforcing the body's own defense mechanisms and promoting physical health. Magnetism speeds up the body's ability to heal itself naturally. The following are just some of the benefits observed with Negative Magnetic Field Therapy. PHT Magnetic Products are Unipolar, i.e. they emit the Negative Field from one side of the magnet, and the Positive from the other. Some other magnets are Bipolar, meaning they emit both Positive and Negative fields from both sides of the magnet. Research has shown that the Negative pole is beneficial to our health, while the Positive pole may have unwanted side effects. PHT Magnetic Products are designed so that you can only apply the Negative pole to the body. Spacing and Placement - In products using more than one magnet, spacing is very critical. Magnets spaced properly work together, enhance each other and form a complete circuit among themselves and ultimately throughout the body. Spacing is different for each type and size of magnet. Many of our competitors' magnetic products fail to take this into consideration. Infinity Magnetic Products guarantee that our products are made with this crucial factor in mind. TO BETTER UNDERSTAND how magnetics can help pain relief it is helpful to understand some of the causes of pain and thus creating better pain management tactics. 1. Injury: One of the most obvious is when we injure ourselves in the form of bruising, sprains, breaks, cuts etc. When this happens, the injury reacts to the increased presence of south pole energy in the area and sends a signal to the brain which we feel as pain. The brain reacts by sending a north pole magnetic field to the area to begin healing and reconstruction. When we apply a magnet to this area for pain relief, we supplement the north pole energy and allow healing to begin much quicker and allow the pain signal to be overcome and neutralized by the magnet. If we would use a bi-polar magnet, the extra confusion and stress that is created would block the pain signals but healing would actually be delayed. Hence the warning noted earlier. This is of course why doctors such as Dr William Philpott, Dr Albert Roy Davis, and Dr Walter Rwals recommend that only north pole magnets be used for pain management. 2. Acidic State: Dr. Robert Young Ph.D., research scientist, stated after decades of clinical studies, There is only one disease, the constant over acidification of the blood and tissues. This disturbs the central regulation of the human body-unbalancing it. An acid state produces swollen cells. Lack of oxygen is associated with a swollen state since oxygen cannot remain in a proper useable form in an acid state. Acidity, lack of oxygen and swollen cells are painful (truly understanding this is going to help your pain management process). Dr William Philpott has proven that a north magnetic field will increase oxidation, reduce swelling and alkalinize (normalize) the body, in effect reversing the effects of over acidification, temporarily correcting these disorders, allowing our body to heal itself better while fighting these problems. 3. Referred Pain: Occasionally when treating pain symptoms, when we follow rule number one in using magnetic therapy - placing the north side of a magnet over the painful area - the pain symptoms are not relieved. Many times this is the result of referred pain. This happens because the interconnections of the body's electrical system relate to each other through a reflex arc. A couple examples of this would be a disorder in the spine which causes a pain in the leg or having an area on the body that is injured and referring pain to an internal organ. For this phenomenon it is necessary to treat the area that the pain has originated from to treat the area the pain is referred to and initially to treat the central nervous system. 4. Scars: Many times an injury does not heal completely. It may appear healed, but there may be scarring or partial healing under the skin. Scarring under the surface of the skin is dangerous because a scar (whether it is visible or not) is abnormal to the body. Scars maintain a constant magnetic charge of south pole. We have received many reports of scar tissue completely disappearing after several months of continuous treatment with north pole magnetism. 5. Edema: Also known as swelling of the cells. This problem puts pressure on the nerve endings. Magnetic water is helpful to treat the entire body. For edema, which occurs in joints and prevents the proper circulation of fluid throughout the body, it is important to place magnets above the joint or swollen limb, according to Dr Philpott. This will pull the fluid back towards the trunk of the body. An example of this might be in the case of swollen calves from a blood clot. For this symptom, it would be advisable to place high powered magnets over the knee area or higher. This may take experimenting to learn what works for each person. If fluid is trapped, the north pole of the magnet will most likely increase pain. Simply remove the magnet once the pain threshold is reached, allow the body to recover, and reapply. This is a sure sign that the magnetism is working in the body. It is important to understand that this is a potential occurrence. Do not immediately discard proper north pole if it does not work immediately or if symptoms of pain are increased initially. 6. Infections: Infections are acidic and are quickly attacked by north pole magnetism. This treatment normalizes pH, corrects cellular swelling (edema), promotes oxygenation, and actually has an antibiotic effect on microorganisms. The antibiotic effect occurs because the magnet defeats the microorganisms production of ATP. It is important to remember that in treating an infection, often the north pole magnet will relieve the symptoms in as quickly as a few minutes. It is recommended, however, to continue the treatment for a minimum of 14 days to achieve the full antibiotic effect. Magnetized water is an excellent way to treat an infection both externally and internally (orally) on an ongoing basis. Magnetic energy and magnetic health are just one spoke in the wheel of perfect health. Ideally, we should exercise, watch our diets, and drink pure water. Magnetic therapy is the most natural alternative for chemicals and drugs. Magnetic therapy enhances your body's utilization of healthful foods and herbs, as well as making exercise and physical therapy easier and more effective. Researchers, medical doctors, and scientists have proven that properly designed therapeutic magnets work by helping the body maintain and restore itself naturally. It has been established many times over that if you use these products according to our guidelines there is absolutely no harm to the body. There are no side effects. Understanding these issues is going to help you develop a solid approach of pain management and pain relief. So, are Magnetic Health Products necessary? It is obvious from listening to many experts that the answer is yes. Does the polarity of a magnet that you are putting on your body matter? It appears that our bodies are similar in response to any electrical device. What happens if you put the batteries in backwards? IT DOESN'T WORK! What happens if we put the batteries in backwards into a sensitive electrical device and leave them there for a long time? The device is destroyed. Take care of your body and give it the LIFE GIVING ENERGY that it deserves. Give your body the magnetism it needs and make sure that it is only a properly designed north pole magnetic device. Infinity Magnetic Products specializes in products that provide north pole magnetism to your body. Products that are bi-polar or alternating provide both polarities of the magnet (north and south poles). Bi-polar is somewhat effective for minor pain relief but is not useful for helping your body heal as experts have determined the north pole only products are. Can I use refrigerator magnets for healing? The magnets on your refrigerator are alternating poles. This is used for holding strength. Not therapeutic strength. If a magnet is not labeled or designed to be a magnet for health purposes, or if you do not know the polarity for sure, DON'T USE IT. This is like taking pills from an unlabeled bottle. Magnetic health products are affordable considering the value they can give you for life. ALWAYS ASK BEFORE YOU BUY. REMEMBER - PHT Magnetic Products are designed so that you can only apply the Negative Pole to the body. Therapeutic magnets won't help if you don't use them. Keep the magnetic products in place. There are no hard and fast rules. Pain relief may occur within 5 minutes to a week. Joint problems may take a month. Magnetic treatment of internal organs can take up to 6 months. The more you wear the therapeutic magnets, the larger benefit you will receive. The power of magnetic therapy has been used in the Orient for thousands of years. In Japan, Dr. N. Nakagawa, Chief of Tokyo's Isuzu Hospital, has used magnetic therapy on more than 11,000 patients suffering from muscle spasms in the shoulder and neck region. 90% of them responded and became free of pain. Other studies have shown that higher magnetic strengths showed much more significant improvement than lower magnetic strengths. Dr. W.D. Muhlbauer, Chief of the Department of Plastic and Reconstructive Surgery at Munich, Germany's Technical University, reported to the 91st Congress of the Society of Surgery that wounds and burns treated with magnets were healing very successfully. How does the therapy work? We do know that negative magnetic energy stimulates blood flow, improves the lymphatic system and promotes healing. Within living systems, this energy fights infection, reduces fluid retention, increases oxygen in tissues, supports biological healing, normalizes acid to base balance, relieves pain and other symptoms, reduces fat and calcium deposits. Such therapy is natural, simple, fast, safe and inexpensive. It is external and non- invasive, and is completely free from side effects. During the past few years, magnetic devices have been claimed to relieve pain and to have therapeutic value against a large number of diseases and conditions. The way to evaluate such claims is to ask whether scientific studies have been published. Pulsed electromagnetic fields - which induce measurable electric fields - have been demonstrated effective for treating slow-healing fractures and have shown promise for a few other conditions. There have been many tests conducted that suggest magnet therapy can increase circulation, help you to heal faster from bruises and cuts, can help relieve the pain of arthritis, and helps to alleviate back pain problems. One of these tests is a double-blind test study, conducted at Baylor College of Medicine in Houston, which compared the effects of magnets and fake magnets on knee pain. The study involved 50 adult patients with pain related to having been infected with the polio virus when they were children. A static magnetic device or a placebo device was applied to the patient's skin for 45 minutes. The patients were asked to rate how much pain they experienced when a "trigger point was touched." The researchers reported that the 29 patients exposed to the magnetic device achieved lower pain scores than did the 21 who were exposed to the placebo device. This is just one study of the many conducted showing positive results concluding that magnets have health related benefits. The most widely studied application of electromagnetic field therapy in human medicine is in fracture therapy. Although the mechanisms remain undetermined, several studies report that electrical fields generated by pulsating electromagnetic field therapy stimulate biologic processes pertinent to osteogenesis and bone graft incorporation. This form of therapy is approved for the treatment of delayed and non-union fractures in humans in the U.S. by the United States Food and Drug Administration. Effectiveness of the treatment is supported by at least two double-blind studies. A new test has been conducted at the University of Virginia showing some new amazing results as well. The actual results of the study are published in the February 23rd issue of the "Journal of Alternative and Complementary Medicine." They divided 94 fibromyalgia patients into four groups; one group with sham magnets, one with no magnets, just their usual fibromyalgia medication, one group with a whole body low static exposure, and one group with a low static pad similar to the last, but with very few magnets and a large space between them. We would call these magnetic mattress pads. Ann Gill Taylor, R.N., Ed.D., and study investigator was quoted saying "...we did find a statistically significant difference in pain intensity reduction for one of the active magnet pad groups." The members of this group reported that they not only felt better overall, but their pain during recovery wasn't intense, and the small number of tender points on the body had improved. The other group using fewer magnets reported the same results. Magnet therapy reduced fibromyalgia pain intensity enough in one group of study participants to be "clinically meaningful," the researchers said. Shimizu, T., et al. Bone ingrowths into porous calcium phosphate ceramics; influence of pulsating electromagnetic field. J Orthop Res 6: 248-258, 1988. Kold, S. and Hickman, J. Preliminary study of quantitative aspects and the effect of pulsed electromagnetic field treatment on the incorporation of equine cancellous bone grafts. Eq Vet J 19(2): 120-124, 1987. Sharrard, W. A double blind trial of pulsed electromagnetic fields for delayed union of tibial fractures. J Bone and Joint Surg [Br] 72: 347-355, 1990. Researchers at the VA Medical Center in Prescott, Arizona conducted a randomized, double-blind, placebo-controlled, crossover study involving 20 patients with chronic back pain. Each patient was exposed to real and fake bipolar permanent magnets during alternate weeks, for 6 hours per day, 3 days per week for a week, with a 1-week period between the treatment weeks. No difference in pain or mobility was found between the treatment and fake-treatment periods. The problem with this study is the way they attempted to treat the subjects. Magnet therapy isn't a medication that cures you when the pill hits your mouth. Magnet therapy is merely a trigger, or catalyst. Look at this study as a visit to the doctor. You are sick, you are then prescribed a medication to treat that with no guarantee of a cure, and you are expected to take the medicine. If you only take the medicine 6 times in three weeks (which is exactly how the study went), it would be obvious that the little amount of medication you took would not do much good, and your body would be left to heal itself. Magnet therapy is effective only when it is around you, so by treating these patients 6 times in a three week period, you are doing very little for their recovery. But magnet therapy, unlike medication, can be constantly worn without any known negative effect or possibility of overdose. To this day there has been no record of anyone dying from an overdose of magnetics! Some people doubt that magnet therapy helps you to heal, but everyone is entitled to an opinion. There are skeptics from all walks of life and in all areas of research. There were once individuals who said the earth wasn't round, but we all know how wrong they were; and they too were a majority then. It just goes to show that the human mind is truly and ultimately influenced by themselves, and those they feel associated with. There have been people who made outrageous claims of "miracle magnets" that are a cure-all. These are the people who take advantage of those in need, simply because they can. These individuals have created a bad name for all others in the field, and we want to show you two of these companies below. In 1999, the FTC obtained a consent agreement barring two companies from making unsubstantiated claims about their magnetic products. Magnetic Therapeutic Technologies, of Irving, Texas, is barred from claiming that its magnetic sleep pads or other products: (a) are effective against cancers and diabetic ulcers; (b) could stabilize or increase the T-cell count of HIV patients; (c) could reduce nerve spasms associated with diabetic neuropathy; (d) and could increase bone density. Pain Stops Here! Inc., of Baiting Hollow, N.Y., may no longer claim that its "magnetized water" or other products are useful against cancer, diseases of the liver or other internal organs, gallstones, kidney stones, urinary infection, gastric ulcers, dysentery, diarrhea, skin ulcers, bed sores, sciatica, heart disease, auto- immune illness, neuro-degenerative disease, and could stimulate the growth of plants. As I stated previously, these sorts of miracle cures are fraudulent and make those in this particular field of science seem bad, but one rotten grape doesn't mean the entire bunch is rotten. There is scientific basis to conclude that magnet therapy can influence the body. Many of today's products produce a significant magnetic field at or beneath the skin's surface. Please note that we do not prescribe magnets as medication nor do we make any claims as to the effect on you. This page is to be used as reference only. The studies above have been cited and were not conducted by us, for us, or with our knowledge prior to. Bio-magnetics is a natural science dealing with the application of magnetic fields to living things. Magnethotherapy is the treatment of illness/discomfort with magnetic energy/current. Free from any adverse side effects. The magnetic field does not heal; it merely aids the cells in creating an optimum environment in which the body can begin to heal itself. 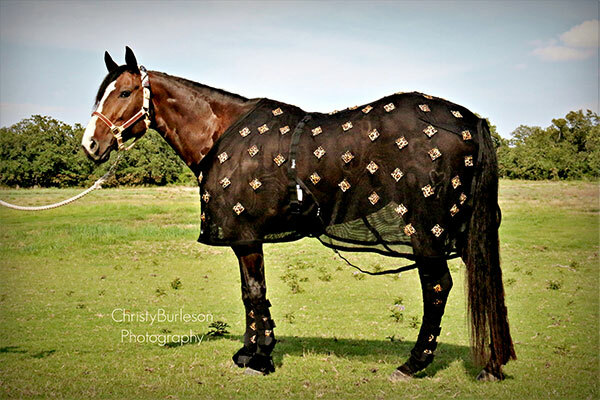 "If I added up what I spent on things a year whether its entries, vet bills, board, feed, etc.. why would I go cheap with therapy compared to everything else? 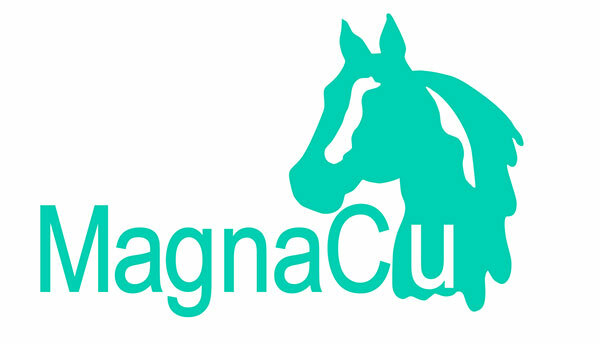 PHT, CuHorse, and MagnaCu products are well worth every penny you purchase them for!"